I’ve spent part of the weekend sorting baby clothes. Little Baby L is growing fast. He turned 6 months on Friday and he has recently grown out of a whole bunch of his super cute outfits. Time to move some things out to make space for the next size. It was really fun to un-pack this box and find some old favorites, though. Like Alec’s little denim overalls and little flannel shirts from Baby Gap. Fun! From now on, the clothes are less babyish too. Not as many onesies and more jeans etc. I think jeans for babies is sort of silly. But also sort of cute. We have been through a tons of baby and toddler jeans, from Baby Gap, Zara, ebbe, Polarn O. Pyret to name just a few, but now I have found the perfect ones. Most times the problem is that they are soft and lovely when you buy them, but then you wash them and line dry them and they lose that softness and become a little stiff and scratchy. The other problem is that babies spend most of their time lying down and scrunching around back and forth, or tucked into a baby carrier or car seat, and the heavy seams that jeans tend to have just don’t seem like the comfiest. 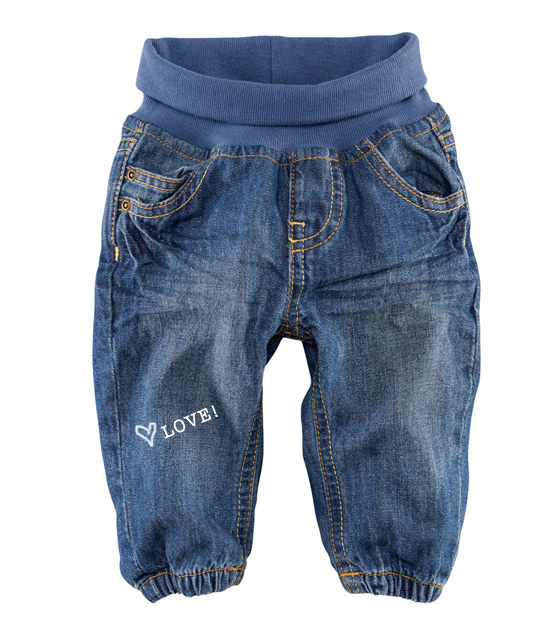 Size 68 (4-6 months) seem to be the size to start with jeans, so Louis has his drawers full of them now. Some new acquisitions and some of Alec’s old ones. But the only ones he really seems to be wearing are the new pair that Sigge‘s mum Cissi gave him when he was born. They are fabulous. From H&M. They were soft from the beginning and have stayed soft through all the washes. And they’re fully lined with soft cotton and just so so comfy. When we were in London, Louis wore these a ton. 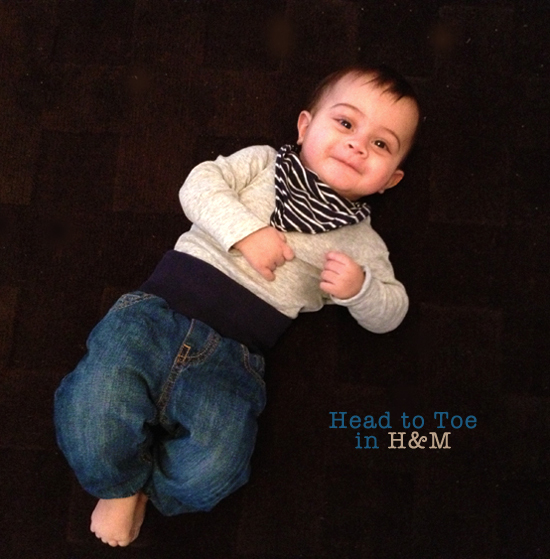 He is growing so fast now, so I am going to check out the version of these jeans that they make in bigger sizes – crossing my fingers that they are as great as the newborn ones!